For the record - and it's a little strange saying this given all those years with PlayStation - but my favourite game is Professor Layton and the Curious Village. I'm a Nintendo convert now! 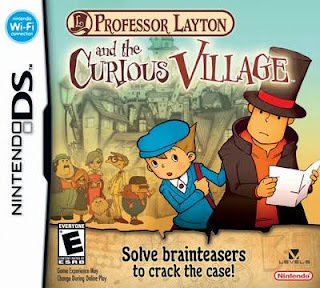 *Edit: since this post was made, my favorite games are now Professor Layton and the Unwound Future and possibly the original Ace Attorney and Ace Attorney: Trials and Tribulations.